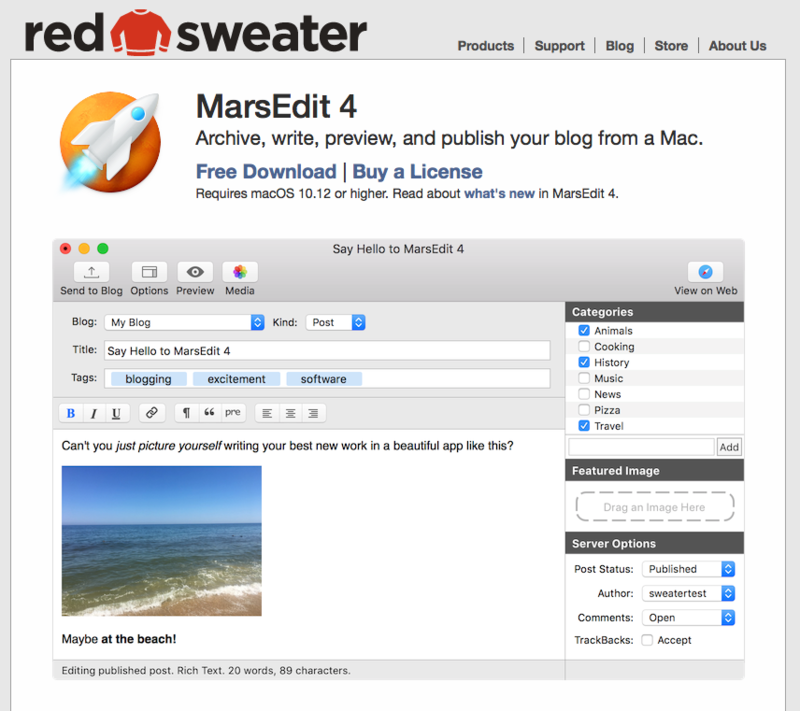 A new visual button bar for common editing changes, live image size editing in the Rich Text editor, and a “Typewriter Mode” to keep text centered vertically while writing. Preview your posts as you write them, just as they’ll appear when published on the web. A baseline template is easily created and can be fine-tuned by hand if desired. Preview filters for Markdown, MultiMarkdown, and Convert Line Breaks are now implemented natively so they run at lightning speed, converting your writing on the fly.